A screw on ice cream float cup. 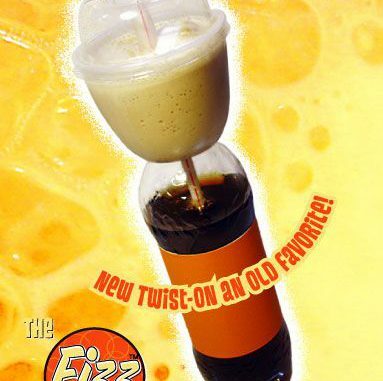 The Fizz is a plastic cup that screws on to plastic soda bottles. An easy way for you to create a mobile ice cream float.